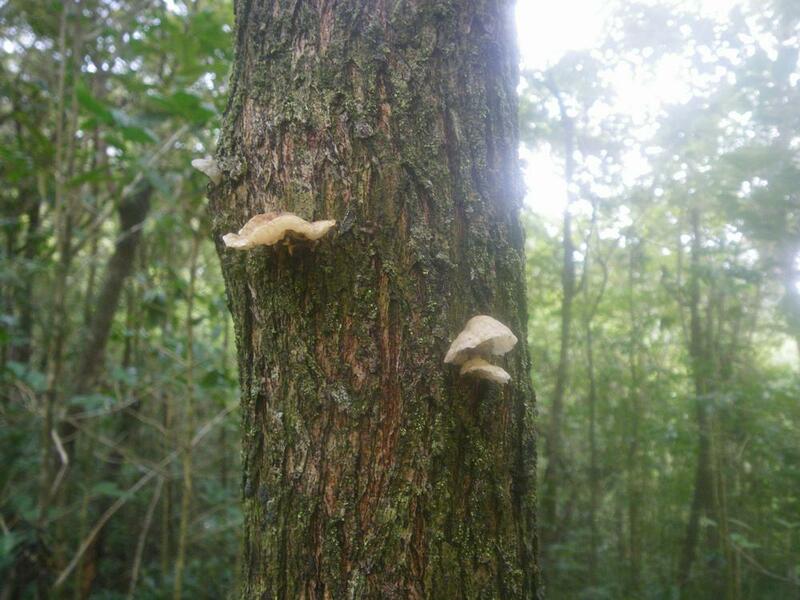 Today Gene led us to a newly discovered (by him) post contact site in Wai`anae Valley. We have decided to call it Secret Site Two and intend to keep it's location secret until we clear the vegetation and complete our research. If you know it's location you are hereby sworn to secrecy as to it's location. Location other than Wai`anae Valley is not for the general public, nor even the general hiking population. 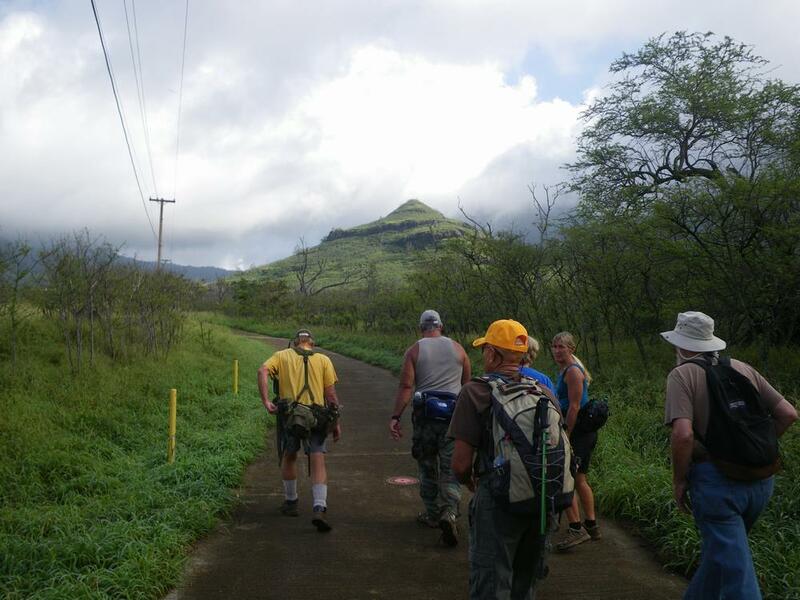 Here is a shot of us all starting our day just a little above the forestry gate at the end of Wai`anae Valley Road. After leaving the pave road, we headed up into the bush. 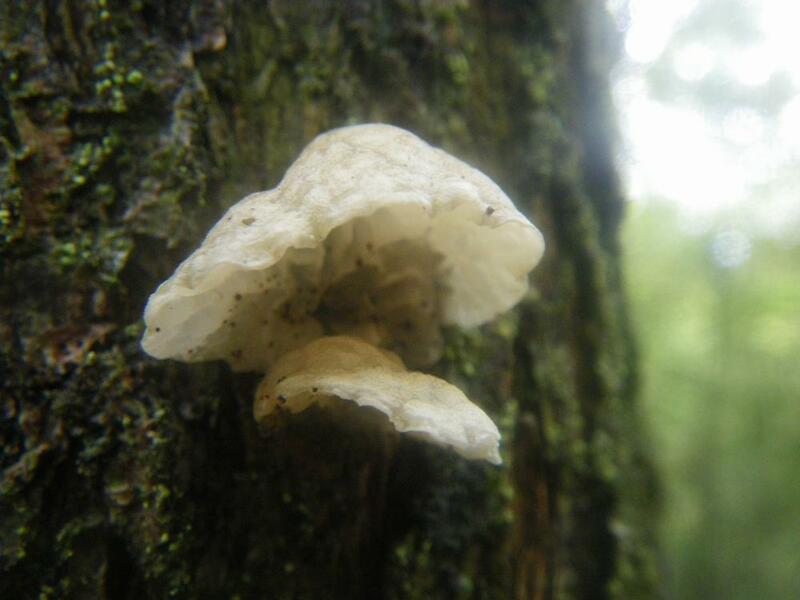 Here are two photos of an interesting fungi growing on a tree just off the trail.